Enhancing community health and wellbeing through leadership in general practice education, training, research and workforce development. 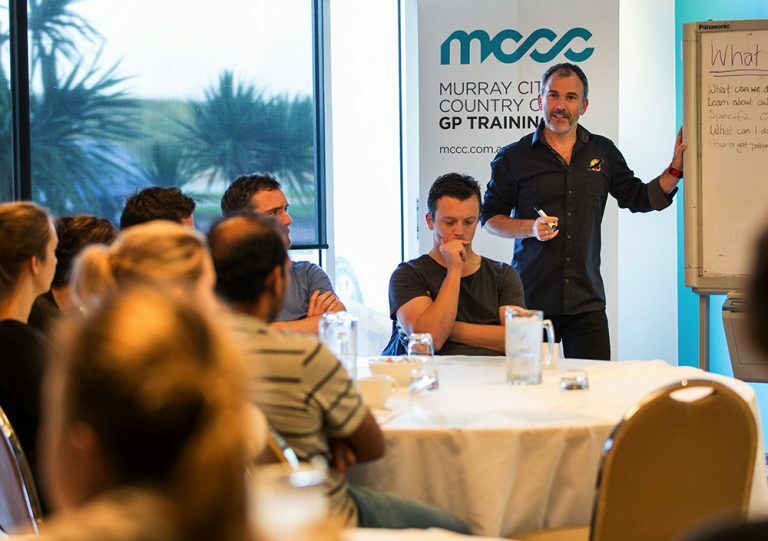 Murray City Country Coast (MCCC) GP Training offers specialist training for qualified doctors who want to pursue a career in general practice medicine. 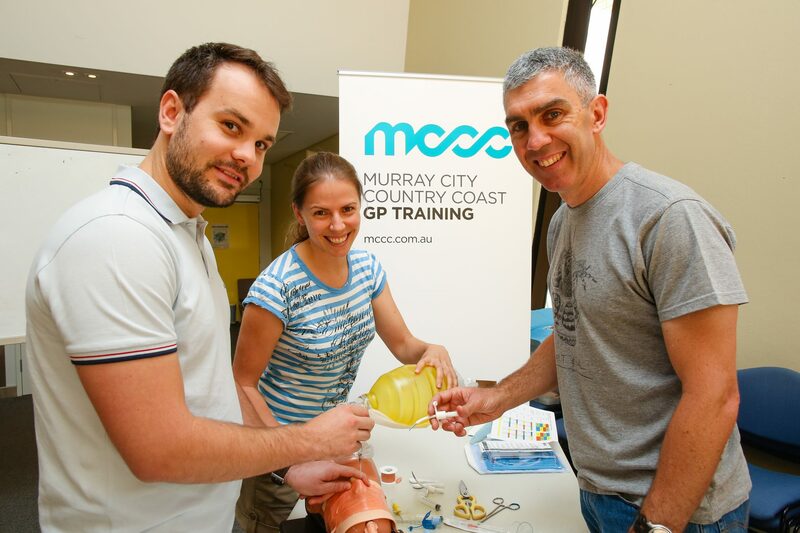 Established in January 2016, we are one of nine Regional Training Organisations in Australia that offers the Federally-funded Australian General Practice Training (AGPT) Program. The AGPT is based on an apprenticeship model where the majority of GP training is conducted within GP clinics, Aboriginal Medical Services or approved hospitals, with supplementary peer learning workshops. Doctors who join GP training in our region develop their specialist skills and knowledge through supervised work placements in hospitals and accredited GP teaching practices that service the health needs of metropolitan, regional and remote communities across Victoria. Doctors who train with MCCC can pursue Fellowship of the Australian College of Rural and Remote Medicine (FACRRM) and/or Fellowship of the Royal Australian College of General Practitioners (FRACGP). MCCC is proudly helping to ‘grow’ a new generation of GPs who will care for and support the health needs of diverse communities across our region. We partner with general practices and link directly with universities, primary health networks, hospitals, State and Federal Governments, and local communities with the goal of developing a qualified and motivated GP workforce for the region. 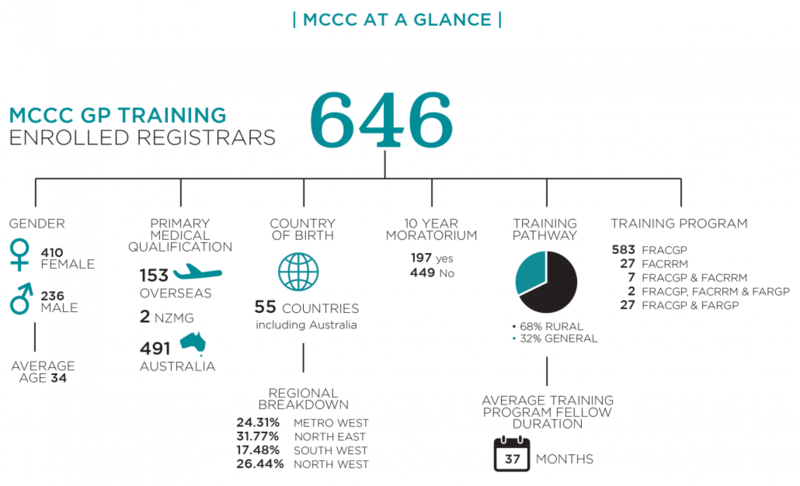 Building effective partnerships – MCCC partners with leading health services and organisations to deliver innovative and cost effective training services in our region.